Mid North Coast Local Health District (MNCLHD) empowered Aboriginal patients to manage their own healthcare, by providing education, information on services, self-management strategies, culturally-sensitive care and links to community health services. By February 2017, the gap in hospital readmissions rates between Indigenous and non-Indigenous people admitted to the Coronary Care Unit at Port Macquarie Base Hospital with acute coronary syndrome will be reduced by 20 per cent. To improve the care and management provided to Aboriginal patients by ensuring service delivery is culturally appropriate. Reduces hospital readmission rates for Aboriginal patients. Improves health outcomes and access to care for Aboriginal people. Improves patients’ knowledge of their condition, risk factors, lifestyle modifications and treatment. Provides safe, inclusive and culturally-sensitive care for Aboriginal people. Builds long-term relationships built on trust, honesty and respect. Provides cultural and professional mentoring support for Aboriginal patients. Enhances collaboration with Aboriginal and community health services. NSW Health is committed to achieving Aboriginal health equity and delivers a number of initiatives to reach this target. However, 61.5 per cent of Aboriginal patients with acute coronary syndrome were readmitted to MNCLHD hospitals within 28 days of discharge between January and December 2015. This was more than double the rate of non-Aboriginal patients with acute coronary syndrome whose readmission rates equated to 26.5 per cent. Aboriginal patient stories and satisfaction surveys collected in March 2016 identified a number of gaps in health care delivered to Aboriginal people in MNCLHD. Results showed the local health district was perceived as culturally incompetent and inept. As a result of this negative opinion, patients were frustrated with the service. I came into hospital to have my leg done, you know for the PVD, when I was here I had a heart attack and now I have to go to Sydney. I feel worried. I didn’t want to come into this place you know. They haven’t treated me well before. When I was in Coffs Harbor hospital for the angio the staff were really horrible to me, they were terrible. They wouldn’t even say hello or tell me what was going on. Even the cleaner wouldn’t talk to me. It made me feel alone and worried. I didn’t know what was going on. They didn’t tell me I had to keep seeing the heart doctor. It made me not trust them. When I went to the pre-admission clinic before coming into this hospital I asked to see Lois – to let her know I was coming and I would like to see her – that is important to me you know. I was in hospital for six days before I got to see her. It was frustrating waiting so long but I was lucky to have my daughter here you know for support and all. I am worried about going to Sydney for this heart problem; they haven’t explained it properly to me yet. I am worried; I don’t know what is going on yet. I am worried about my family and what will happen when I am gone. When I came out of recovery they put me in a room with three men. I asked the nurse why I was in a room with three men. The nurse said to me they thought I was a male, THEY THOUGHT I WAS A MALE!! I was afraid I wouldn’t of slept all night. They found me another room a single room and moved me. The nurse apologized. She was really nice. I guess they thought I was a male because of my name. The care here has been really good, excellent. The nurses and other staff are nice and friendly. They talk to me. They allowed my niece into visit me late at night. She travelled far to see me. It was nice they let her into see me she had her kids in the car. The things to change about the care patients received would only be is to talk to them about what’s going on and for people just to be friendly and say hello. Just to acknowledge me. For them just to explain to me what is going on better. I know I have to go to Sydney to have these stents but I don’t know when or how. They are saying I have to have my toe amputated first – because the infection. But then they say no I have to go to Sydney first. It is confusing the doctors talk to each other in front of me. I just want them to sit down and talk to me about me and tell me what is going on!!! The project team developed a partnership with local Aboriginal communities and Mid North Coast Primary Health Service to develop the following strategies. Individual patient education on disorders, risk factors, lifestyle modifications, treatments and self-management strategies. Culturally-appropriate brochures on the different types of community services available for Aboriginal patients in MNCLHD. Self-management strategies to help patients manage their own health care. A simplified referral process to Aboriginal Community Health Services. Nursing education on cultural competency and safety strategies. Annual staff education on Aboriginal cultural awareness. Formal cultural awareness workshops for nursing staff that built on Respecting the Difference programs and communication practices. Improved referral processes for Mid North Coast Primary Health Network, with regular staff education sessions on the service. The Bridging Cultures Program was incorporated into orientation training for new staff. All program resources are available for adoption or adaptation by other services and local health districts. The project can be extended to other health conditions and Aboriginal Health services. The readmission rate of Aboriginal patients with acute coronary syndrome reduced from 61.5 per cent to 57 per cent. 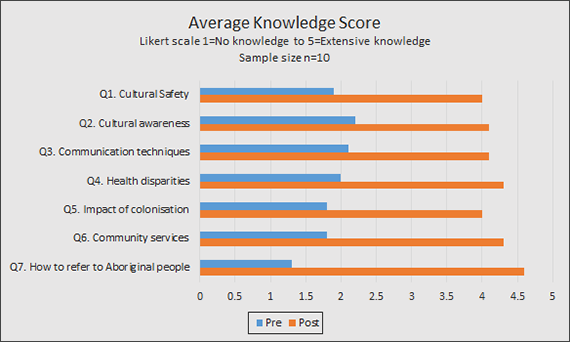 The level of cultural awareness and safety knowledge of nursing staff increased from 51 per cent to 85 per cent. Funding was secured for annual cultural awareness training and printing of education booklets. Ongoing measurement of patient readmission rates and patient satisfaction surveys will be undertaken to sustain the project moving forward. 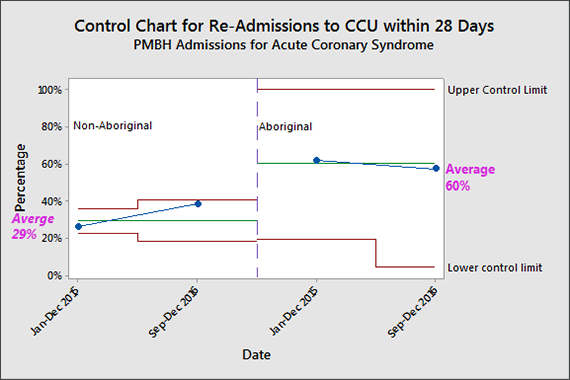 Figure 1 – Control Chart demonstrates a 4.5% reduction in re-admission rates for Aboriginal Patients admitted to PMBH within 28 days. Whilst the aim has not been achieved at this stage, the control chart identifies rates are decreasing for Aboriginal people as non-Aboriginal rates move towards that of Aboriginal people. 2017 NSW Health Awards Finalist - Patients as Partners. Try to understand the problem by collecting high-quality and realistic data. Holding regular team meetings and having a strong, supportive and active sponsor is essential to the viability of the project. Developing communication and rapport with the Aboriginal community is fundamental in understanding barriers to care and uptake of services. Be flexible. Reconsider and adapt goals, objectives and strategies as new information comes to hand.